Richard A. 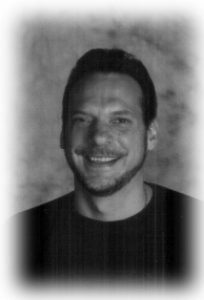 “Rick” Ziebell, age 57, of Grafton and Thiensville, WI, passed away Friday, December 21, 2018 in Saukville. Born in Milwaukee, WI on July 5, 1961; Rick, the son of Harry and Marguerite “Marge” Slupinski Ziebell, moved to Grafton when he was in the sixth grade. At Grafton High School, Rick was an all-state basketball player and graduate of the class of 1979. He later graduated from Waukesha Technical College and became a licensed drug and alcohol counselor. He had worked at various counseling centers in the area predominately with the former Arrow Counseling Services of Grafton. More recently he had worked in shipping and receiving at Shopko in Grafton. Rick loved sports from his youth playing against his older brothers. He was a fan of local pro teams. He really enjoyed the sporting adventures of his son throughout his youth and high school teams. Rick provided support and inspiration as Nick’s youth coach over the years. He will be remembered for his kindness and experience he provided in working with his clients. Rick is survived by his children Nick (Tiffani Iwanski) Ziebell, Abbey (Matt) Miller and her mom Judy Ziebell Ryan and Jake Ziebell; his brothers Steve (Bethany), the late Greg (Connie) and Mike (Renee) Ziebell, nieces and nephews Chris (Caitlin), Dan (Sarah), Adam (Elisa), Katie (Chad), Rachel, Arianna “Ari”, and Brendan; other relatives and friends. He is preceded in death by his parents and his brother Greg. A time of Remembrance and Celebration will be held at 3PM, Saturday, December 29, 2018 at the Poole Funeral Home/Crematory, 203 N. Wisconsin street, Port Washington, WI. Family will receive relatives and friends from 1 – 3 PM, Saturday AT THE FUNERAL HOME prior to the service. Memorials to the family appreciated. So sorry to hear this news. Great memories of Rick being amazing on the basketball court at John Long. Such a great athlete. Haven’t seen him in over 40 years but even with all these years past it seems like just yesterday that I was watching him (from the bench) carrying the team on his back!